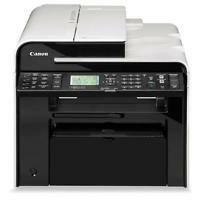 Canon Laser imageCLASS MF4890dw Printer Driver & Software for Microsoft Windows and Macintosh. Drivers and applications are compressed. Click on the file link, and then click [I Agree-Begin Download]. 1. If the User Account Control prompt is displayed, click [Yes], and then click [Run] on the subsequent Security Alert screen. 2. The Setup Wizard will start. 3. After the Setup Wizard has started, follow the instructions on the screen to perform installation. 1. Save the file to an apporopriate location, and then double-click the file (double-clicking the file will create a new folder in the same location). 2. If the User Account Control prompt is displayed, click [Yes]. 3. The Setup Wizard will start. 4. After the Setup Wizard has started, follow the instructions on the screen to perform installation.